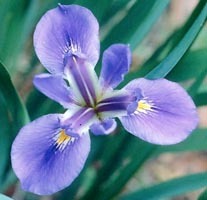 All the Florida irises in the Louisiana series (Hexagonae) are today considered examples of I. hexagona. 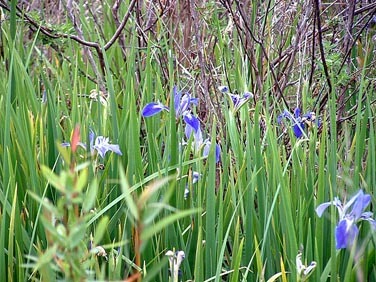 Among these irises there is far greater variation in form, color and bloom season than is evident among South Carolina plants, from which I. hexagona was originally named in 1788. This uniformity of designation for diverse Florida forms was not always the case. 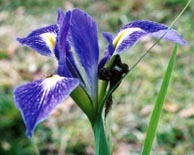 Dr. John K. Small in the 1920s and early 1930s extensively studied irises in both Florida and Louisiana and named over 80 new species based upon what he found. Among Florida-only forms alone -- and beyond the previously established I. hexagona which he found to occur in Northern Florida -- Small named I. savannarum, I. kimballiae, I. albispiritus and I. rivularis. Subsequent to Small's work, it was realized that many of the plants upon which his species were based were in fact natural hybrids or variants of other species. Eventually, recognition of all of Small's species was withdrawn with the exception of I. giganticaerulea which endured and was said to be restricted to South Louisiana, Mississippi and Texas. If Small went overboard in handing out species names, perhaps the retreat from his work went too far in the other direction. 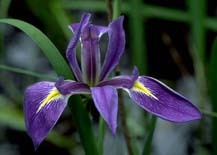 Where once the varied Florida irises were recognized with species names, now that variety is for the most part unacknowledged in any formal or authoritative way. 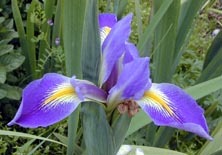 Those interested in the Florida irises should see the series of three articles that appeared in 2003 in the journal published by the Society for Louisiana Irises (288k). 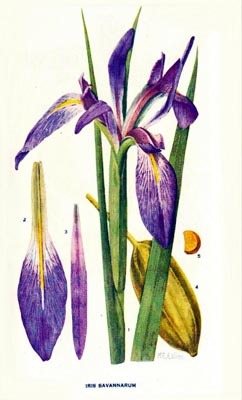 A new book by Clarence E. Mahan, Classic Irises and the Men and Women Who Created Them, Krieger Publishing, 2007, has a chapter on Florida irises, also. 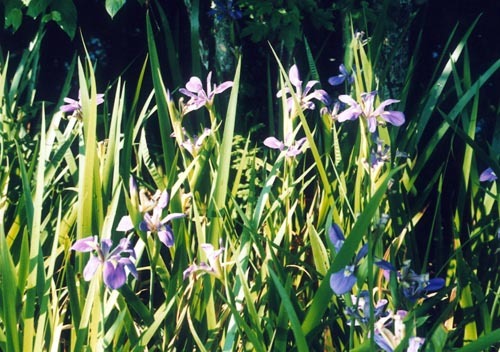 Resolution of such taxonomic questions as those involving the Florida irises depend upon far more than the range of colors and flower forms shown in pictures on this page, including increasingly complex DNA and other analysis. Whether the future holds new or renewed designation of Florida species beyond I. hexagona, the recognition of specific subspecies forms, or the continued maintenance of a unitary category is in the hands of taxonomists, botanists and other scientists. 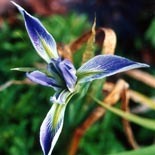 The Case of "Iris Savannarum"
"Iris savannarum has often been included in I. hexagona, but differs in several ways. The capsules of I. hexagona are more obviously hexagonal, with smooth faces alternating with those that have two rounded lobes, whereas the capsules of I. savannarum are more rounded but with six obvious ridges, almost of wing like proportions. 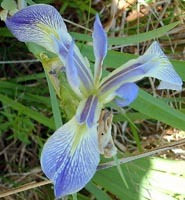 Iris hexagona has yellow-green leaves instead of the brighter green of I. savannarum. The leaves of I. savannarum die back after anthesis, while those of I. hexagona remain green. The flowering period of I. savannarum is almost one month earlier than that of I. hexagona in the area where both are known to grow. The sepals of I. savannarum are more acute at the apex than those of I. hexagona." 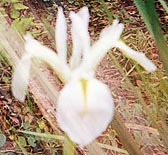 Above, a picture by Harry Wolford of an I. savannarum form from near Ona, Florida. Compare this picture to the artist's depiction of I. savannarum, left, published in Addisonia along with Small's description of the species, and also compare it to an I. hexagona of typical flower form, below. Atlas of Florida Vascular Plants. Note the tabs to go to maps, images and other information. There is a good range of pictures. Nature Photography of Shirley Denton. Beautiful pictures from Florida. Hexagona or savannarum?